BURN BAN: Drought, Fires Prompting Burn Bans in Southeast. 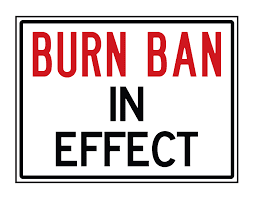 What you need to know about the burn ban effecting several states. As drought dries up forests across the South with no sign of rainfall to help quench dozens of major wildfires, the Tennessee Valley Authority is banning burning on its public lands in seven states. The rules apply across Tennessee and in parts of Alabama, Georgia, Kentucky, Mississippi, North Carolina and Virginia. That means no campfires, not even cigarette smoking, and cars can’t park off-road where a hot tailpipe could light up dry grass or leaves. ⦁ There is a burn ban in South Carolina for portions of the Midlands and the Upstate. ⦁ As drought-stressed forests burn across much of the South – including a blaze scorching a Manhattan-sized area of north Georgia – some traditional outdoor activities are now also banned. ⦁ The Tennessee Valley Authority issued a burn ban Tuesday on its public lands across Tennessee and in parts of Alabama, Georgia, Kentucky, Mississippi, North Carolina and Virginia. The authority said its ban applies to anything that might produce an open flame. ⦁ Georgia Gov. Nathan Deal has banned the ignition of all fireworks in much of the state due to the wildfire risk. Fire officials said the largest active wildfire in the South has now burned more than 19,000 acres in the north Georgia mountains – an area larger than New York’s Manhattan. ⦁ Federal and state forestry officials said The fires in North Carolina now cover in excess of 40,000 acres. The U.S. Forestry Service says the Georgia blaze has now burned through more than half of the Cohutta Wilderness area and has crossed over the Conasauga River. U.S. Forest Service spokesman Adam Rondeau has said the agency is tracking wildfires that have burned a total of 80,000 acres across the South.